Have a question about scoliosis? Use our free, expertly-written scoliosis FAQ to find the answer to your question fast. Scoliosis is a confusing diagnosis for many patients and their parents. There is much misinformation circulating about scoliosis and researching the condition can provide a contrasting mix of opinions and seeming facts. Who should you believe? We want to help! We have been diagnosing and treating scoliosis for decades. We also have no difficulty putting the condition into perspective with overall heath for a holistic viewpoint, instead of just a compartmentalized perspective. We are not trying to get any benefit from you through sharing our information, so you can trust our FAQ to provide you with honest and object answers to all your scoliosis inquiries. This frequently asked questions section covers all the typical queries we receive about scoliosis. We will explore the causes, symptoms and best treatment options for scoliosis and help you to find the information you require quickly and efficiently. Q: Are there different types of scoliosis? What is the difference between them? A: Yes, there are many classifications of scoliosis, related to their causation and age of onset. We detail all of the typical manifestations of lateral spinal curvature in our side to side spinal curvature section. A: Each variety of scoliosis might have a different cause, although the majority of cases are considered to be idiopathic is causation. This means that doctors do not know why they occur. Some types of scoliosis are caused by aging and the usual changes in spinal anatomy caused by degeneration. Others types can be caused by trauma, surgery or disease. Read more about the causes of scoliosis. Q: Did I cause my scoliosis through bad posture or other controllable action on my part? A: This is highly unlikely. Very, very poor posture might have some contributing influence on some varieties of adult scoliosis, but most types of the condition will not be created by bad posture or other action on the part of the patient. Q: What is the difference between a symptom of scoliosis and an indication? A: Excellent question. All scoliosis will provide indications that it exists. Depending on the type and severity of the curvature, indications might be incredibly subtle or visually obvious. Some indications include changes in posture, visualized lateral curvature of the spine, one shoulder or hip higher or more anterior than the other and evidence which can be seen on various types of medical imaging studies (X-ray, CT scan, MRI). A symptom is a negative consequence of scoliosis, such pain, tingling, numbness or weakness that is a direct result of the condition. Q: What are the usual symptoms of scoliosis? A: Most minor cases of scoliosis are largely asymptomatic. Most severe cases are symptomatic. However, this is only a general rule. We have seen some minor cases that did cause specific symptoms in very, very rare cases. We have also observed many cases of severe curvature that did not cause any pain or functional deficits. Q: What are the most severe symptoms of scoliosis that are possible? A: Extreme scoliotic presentations can cause chronic pain and the loss of typical spinal functionality in some cases, the spine might even develop instability at focal regions or generally. Some patients might suffer compression of the heart or lungs with specific types of scoliosis involving considerable vertebral rotation. Spinal nerve or spinal cord damage is also possible and might result in some degree of complete or incomplete paralysis, as well as permanent or transitory sensory or autonomic nerve issues. Q: Does all scoliosis require treatment? A: In a word, no. Most minor cases only require monitoring. Some cases in growing young people may require bracing in order to prevent the curvature from worsening. 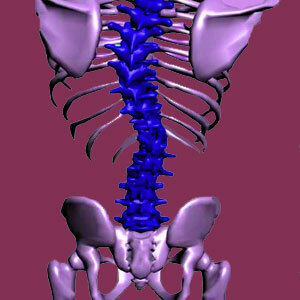 In adults, bracing might be used in rare occasions for spinal support, rather than to prevent advancement of the curvature. Dramatic treatments like pain management and surgery are rarely necessary except in extreme cases of lateral spinal curvature. Q: Will I be able to live a normal life with scoliosis? A: If you curvature is mild to moderate, absolutely. Scoliosis should not prevent you from doing anything at all in life. If you have a clinically significant case, it might have some influence over your ability to do some things. Only the worst cases will result in substantial lifestyle restrictions. Q: My child has minor scoliosis and has been recommended for a particular treatment. Is it really necessary or am I going to do more ham than good? A: Another excellent question. Unfortunately, the opinions of individual care providers about what should and should not be done to manage or treat scoliosis vary greatly. Opinions are largely subjective. Some care providers are certainly financially-motivated, (like the unethical criminal of a chiropractor I first saw as a child for my scoliosis). This is why we always advise seeking more than one opinion on both the diagnosis and the treatment recommendations. This one simple step will save many missteps in the future… Regardless, it is of paramount importance to carefully manage the psychological influence of scoliosis in children, as well as in adults.